Introduction: Recent market research done into the Indian Education sector has revealed that the Indian Online Learning market comprising of web based platforms, online applications and blended learning programs would be a market worth USD 2 billion. The customer base in online learning is expected to grow six fold from the current 1.6 million users to around 9.6 million by the year 2021. The increasing penetration of technology into the education market is creating a paradigm shift in the market for education in India. Market Timeline: In 2015, the government of India launched a program to deliver free learning through online platforms; the SWAYAM initiative has been a government program to launch an online portal available to anyone wishing to learn in India with a capacity to host 2,000 courses with over 80,000 hours of video course material. The program was geared towards accessibility of quality education to rural areas aimed at connecting to 250,000 villages in India providing the population with course material from class 9 ranging to post graduate courses. The increasing addition of participants from tier 2 and tier 3 cities like Patna and Guwahati have been noted to be the primary driver behind the growth of the market. As of July 2017, it was confirmed that the internet user base in India had reached 500 million. Educational content has been one of the most active parts of the internet with Educational related searches on Google tripling and Educational video demand doubling over the last year. Around 45% of the searches and queries are coming from beyond the top 6 metros in India. While a large number of searches and queries have resulted from schooling due to primary education still having the largest customer base of around 260 million users, the segment is poised to reach 773 million by the year 2021. The reskilling and certification segment was the most important with a value of USD 93 million expected to grow to USD 453 million by the year 2021. Competitive exams and other test preparation which is a small segment as of today is likely to grow at a CAGR of 64% to become a $515 million category in 2021. Even major corporate are taking initiatives towards reskilling with leading Indian conglomerate Mahindra and Mahindra entering into a partnership with Indian American educational tech platform edX to retrain 117,000 of its employees in various business tasks and skills . The learning platform edX alone has seen tremendous growth in the last 5-7 base owing to the addition of 1.5 million Indian customers alone which makes roughly 11% of the platforms total customer base. This shows the difference accessibility plays and even the government follows through on the trend. With access to education being the major inhibitor roughly 25% of students in India pursue higher education which is quite low compared to 70% in the US. 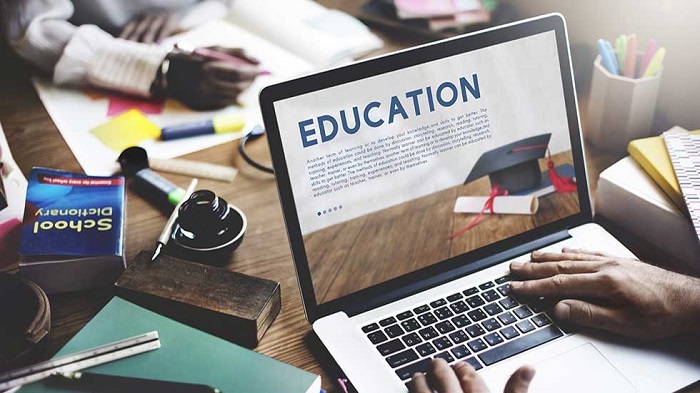 The growing need for accessible education has been addressed in Formal education as well with the Indian government announcing in January that they will allow 15% of all Indian universities to offer online degrees for students and executives. Universities accredited by the National Assessment and Accreditation Council (NAAC) and rated A+ will be allowed to offer such courses. Others that want to offer such courses will be allowed a window of two years to achieve the A+ level in NAAC accreditation. This will not be limited to specific courses or degrees but will span a wide range of sectors and industries allowing for greater variety in the options students are allowed to remotely learn.